His group, which represents CEOs of the nation’s largest corporations, along with the U.S. Chamber of Commerce and education reformers, has been pushing for years for something that would lift educational standards, putting them on par with high-achieving nations around the world. Now that they have that something, the pro-business party is denouncing it. To understand how this happened, you need to know that Common Core was in part a reaction to the oft-criticized No Child Left Behind Act, the 2001 law that poured vast new federal resources into education and demanded that school districts meet performance thresholds or face sanctions. 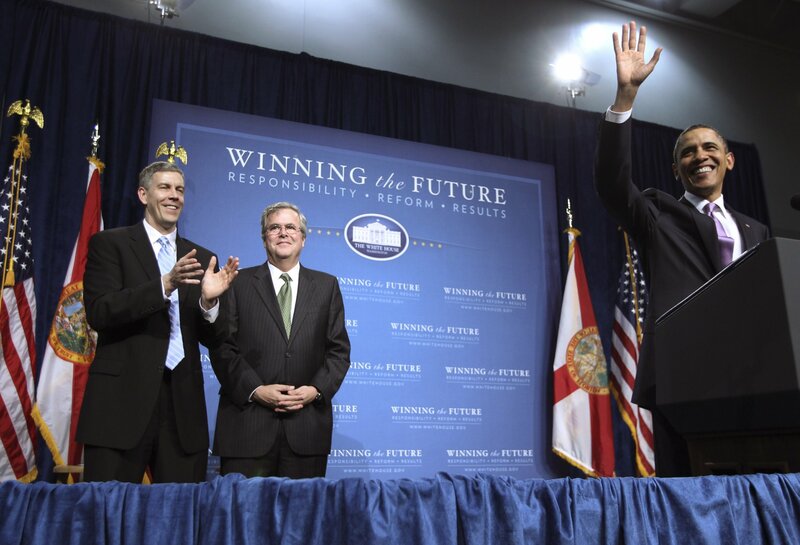 Even though No Child Left Behind passed Congress with overwhelming bipartisan support—the late Senator Ted Kennedy championed the George W. Bush proposal—it soon drew enemies from all sides, including teachers who found it meddlesome, parents who tired of the endless emphasis on testing and politicians, left and right. Common Core was meant to be different. First, these standards weren’t some burdensome federal mandate. The states collaborated on new benchmarks—third-graders should be able to work with fractions, for example—and they were meant to promote best practices for how to teach English and math. The business community, and business-minded nonprofits, loved it. They had been fretting for decades about American education. The American Federation of Teachers gave it qualified support. The result? School districts are adopting the standards, and they appear to be working. Test scores are up slightly, and up slightly more in states that embraced Common Core enthusiastically. Opponents of Common Core like to say opposition to the law arose organically, from parents frustrated by ever-proliferating homework assignments. The truth is that the stunningly swift reversal by Republican politicians didn’t happen by accident. It was the result of an organized effort by Tea Party-affiliated groups anxious to make a mark after a series of legislative losses. Although the Tea Party had struck fear in the GOP establishment with the landslide elections of 2010, it had little to show for it despite antics like the government shutdown. The debt limit was raised again. Spending continued to rise. Obamacare was never repealed. 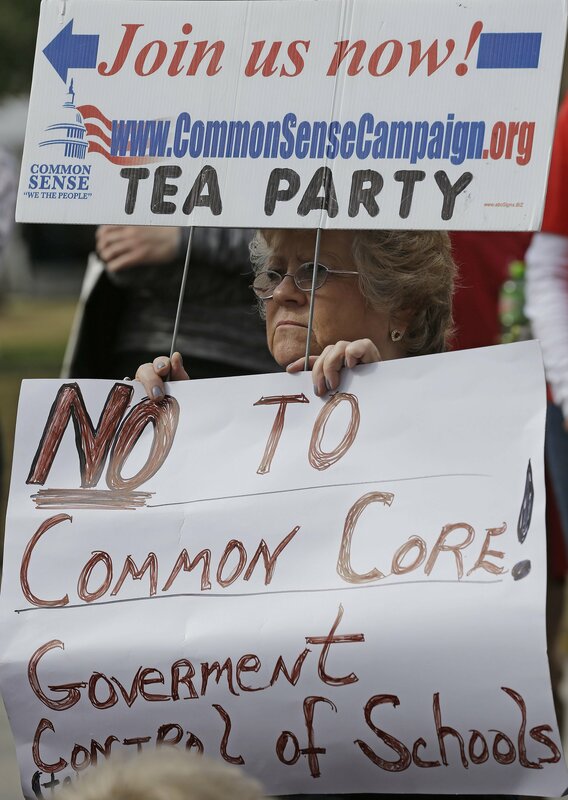 With Common Core, Tea Partiers spotted a chance to rebrand their image, from the tightfisted guardians of budgetary matters to the protectors of kids. FreedomWorks, the Heritage Institute, the American Principles Project, the Heartland Institute and a whole network of conservative advocacy groups and think tanks began alerting their members through emails, conference calls, emails and local organizing to oppose Common Core. “It became this thing where saying ‘I want to stop Common Core’ became basically saying ‘I want the federal government out of my classroom,’” says Neal. 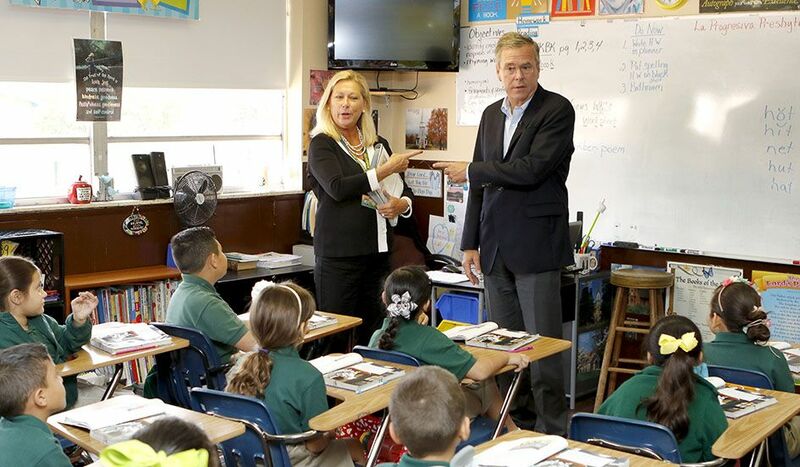 Some on the left also flipped out about the Common Core standards. Diane Ravitch, a former George H.W. Bush Department of Education official who became one of the leading liberal voices on education, came out against the program. She tells Newsweek that “it was designed to make the public schools look bad” and, she thought, to depopulate the union-controlled public schools in favor of Wall Street-backed charter schools. “When someone says they love Common Core, you can assume they are being paid by the Gates Foundation,” she adds, taking a swipe at the pro-school-reform nonprofit. 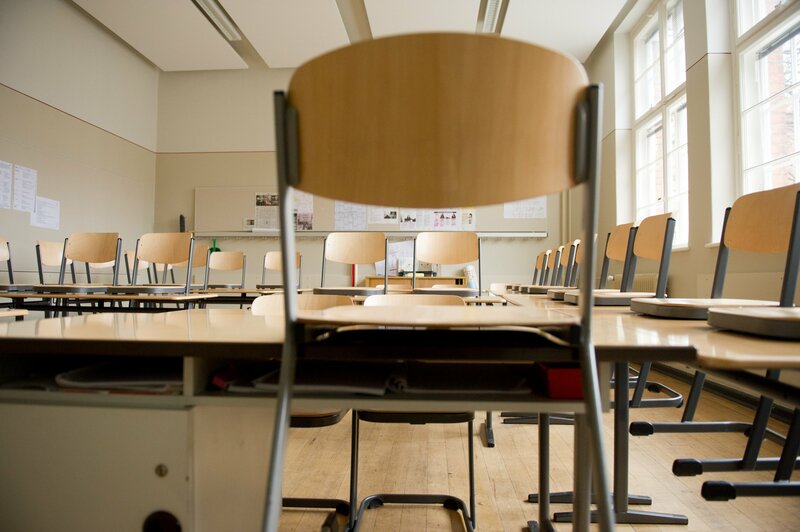 What’s Behind the 'Opt Out' Protests Against the Common Core? Conservatives benefited from the criticism from the left. Consider Sandra Stotsky, a former deputy commissioner of education in Massachusetts. She now serves on the advisory board of the libertarian-leaning Pioneer Institute’s Center for School Reform and has emerged as one of Common Core’s most vocal critics on the left. Common Core backers say that Stotsky was merely peeved that the new standards overwrote the ones she developed in Massachusetts, a charge she doesn’t entirely rebut. The Massachusetts standards “made everybody do better!” she says. “[Critics] can be spiteful if they want, or say I am taking revenge because my first-class standards weren’t used. In fact, they were ignored.” Still, Stotsky knows she provided useful cover for the program’s conservative opponents. All of the anti-Common Core activity paid off. According to a study by the American Enterprise Institute, in August 2009, when Common Core was being rolled out, 48 pieces were published by major media outlets about the standards. In August 2013, 3,300 news stories were written about Common Core, most of which gave prominent voice to its opponents. The law’s backers didn’t help their case much. 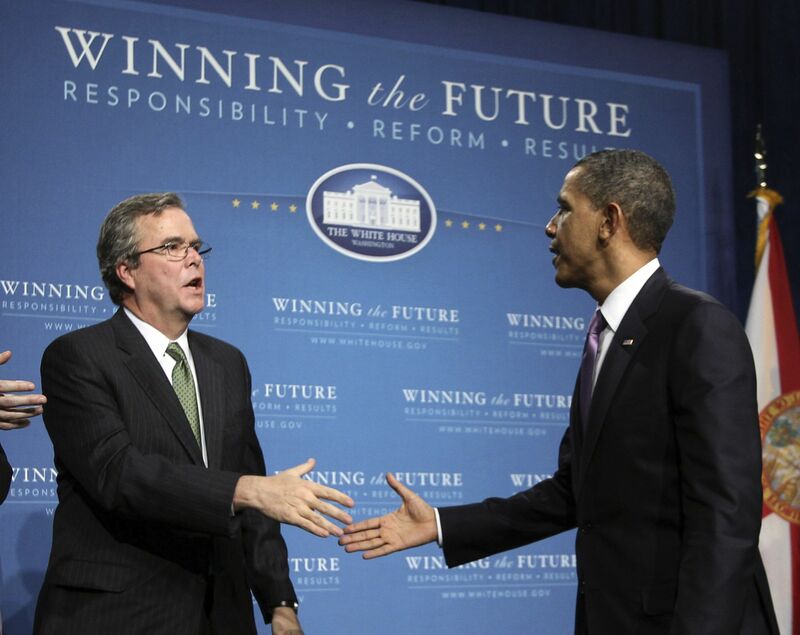 At his acceptance speech at the Democratic National Convention in 2012, Barack Obama touted the law’s successes, even though education reformers close to Jeb Bush asked him not to for fear it would further politicize the bipartisan measure. In November of that year, Secretary of Education Arne Duncan derided the law’s opponents as “white suburban moms who all of a sudden—their child isn’t as brilliant as they thought they were,” a statement that brought a rebuke even from Randi Weingarten, the head of the American Federation of Teachers, who has been a Duncan ally. The law’s backers on both sides of the aisle say that the Obama administration made a crucial error by coupling Common Core with Race to the Top, a Department of Education program that created a competition among states to adopt a series of education reforms. It brought back more bad memories of No Child Left Behind and its heavy hand. For the right, Common Core had become the educational equivalent of Obamacare at a time when conservative anger about executive branch overreach was off the charts. “We entered into a policy environment where, thanks to the IRS scandals, the EPA, Obamacare, other issues...there was a real suspicion in my state and others about government overreach,” says John White, the state superintendent of education in Louisiana, who was appointed by Jindal but still supports Common Core.